Welcome to Part 4 of our Fluency Series! In Part 3, we discussed fluency with early number concepts such as subitizing, composing numbers within ten, finding number pairs that total ten, and making the first ten. Giving students opportunities to engage in these types of activities over time helps them internalize a strong sense of number and maintain fluency. 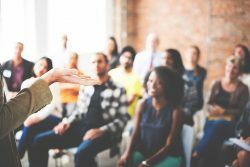 Far too often, we leave these early number experiences behind without realizing how robust they might be if we grow them up a bit for older students. This week, we’re going to take a look at similar number concepts, only with larger and smaller numbers. By no means is this a comprehensive survey of everything middle-grade students need to know for number sense. Rather, I’ve included a few ideas to make the case for how important number sense is and how simple and fun it can be. For this post, we’ll focus on base-ten numbers and save non-decimal fractions for another time. Subitizing is the instant recognition of quantity without counting. Quite often, students use structures or groupings to help them organize quantities into smaller chunks. For young children, we often use a ten frame, colored counters, or colorful blocks to help them easily chunk quantities into smaller amounts so they can see relationships. For older students, subitizing can be a great way to help them recognize patterns in the number system and apply their understandings of number relationships and properties. Young children recognize quantities on a ten frame, using 5 and 10 as benchmark numbers. For example, they can see that 7 is two more than 5 or that 9 is one less than 10. Older students benefit from seeing “tens” on a large ten frame and then stating the quantity that is represented. For example, they can see that 70 is two tens more than 50 or that 90 is one ten less than 100. Next, the experience can be repeated by placing “hundreds” on a large ten frame so students can see that 700 is two hundreds more than 500 or that 900 is one hundred less than 1000. Click here to view slides that illustrate this idea. Grace Kelemanik introduces an advanced form of subitizing in her Contemplate Then Calculate routine. 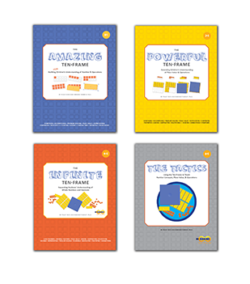 You can find it on her website, Fostering Math Practices. Basically, the teacher presents students with a configuration of dots, and the student is asked to determine the quantity without counting. Students may use principles such as compensation, chunking, symmetry, and other ideas to help them determine the quantity. Students can then represent their thinking mathematically, connecting to symbolic representations. A sample of one of these configurations appears below. Help students see that the ones place is the point of origin of a base-ten number, not the decimal point. There is not a “oneths” place to the right of the decimal point. The decimal point simply identifies the ones place as the unit. Tens, hundreds, thousands, etc. appear to the left of the ones place, and tenths, hundredths, thousandths, etc. appear to the right of the ones place. In other words, magnitudes of ten emerge from the ones place, going in both directions. Ask students, on occasion, to write decimal numbers in fraction form. For example, 2.25 can be written as 2 25/100. This reminds students that a number that has digits on both sides of the decimal point is actually a mixed number. This also helps the students remember that decimal fractions are fractions written in base-ten notation. Provide students with opportunities to group and ungroup tenths and hundredths in the same way they group and ungroup tens and hundreds. My favorite way to do this is with KP Ten-Frame Tiles. 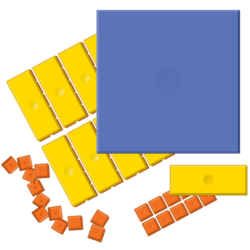 Students identify the blue-covered tile as 1 whole; then, they can “unpack” to see that there are 10 tenths and 100 hundredths inside the whole. Students can then visualize the concept behind the fraction language as well as see the magnitude of hundredths in comparison to tenths and wholes. Students do this with whole numbers in the early grades, so doing this with decimal fractions in the upper grades is extremely helpful in allowing students to see all base-ten numbers as part of a system. 23 is the only prime number. 20 is the only even number. 15 is the only number not in the twenties. 25 is the only square number. 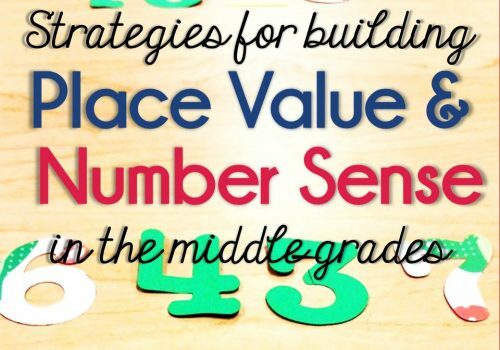 In this post, we barely scratched the surface on ways to build fluency with number concepts in the middle grades. 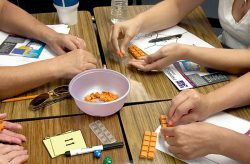 The point is that students need frequent and specific opportunities to engage in activities that develop number sense to the point of fluency. Automaticity and flexibility with thinking about number provides a vital foundation for success in higher levels of mathematics. Isn’t it worth taking 5 minutes per day to help develop and maintain this fluency? I think so! Let us know what your thoughts about these and other activities for developing fluency with number concepts in the middle grades in the comments section below.